Tags: amy acker, denise thé, greg plageman, kevin chapman, person of interest, person of interest on netflix, person of interest on WGN America, which episodes of person of interest are the best? For four seasons, Team Machine has fought the good fight on PERSON OF INTEREST, whether it’s trying to prevent crimes/save people, dealing with corrupt cops/public officials, or a competing (and very powerful) A.I. It’s been a long couple of weeks since the last episode of PERSON OF INTEREST, but finally, the CBS drama — arguably the best show on network television — returns with a brand new episode tonight. With the traumatizing “trilogy” behind us (which saw the team, seemingly, lose Shaw, a little over a year after Carter died), Reese and Root are off on a trip in tonight’s hour, “M.I.A.,” to find out what the heck had happened to Shaw. “I think we have the opportunity here to put a couple of our characters on the road in search of a final answer in terms of what happened to Shaw’s character,” PERSON OF INTEREST executive producer Greg Plageman teased last month. 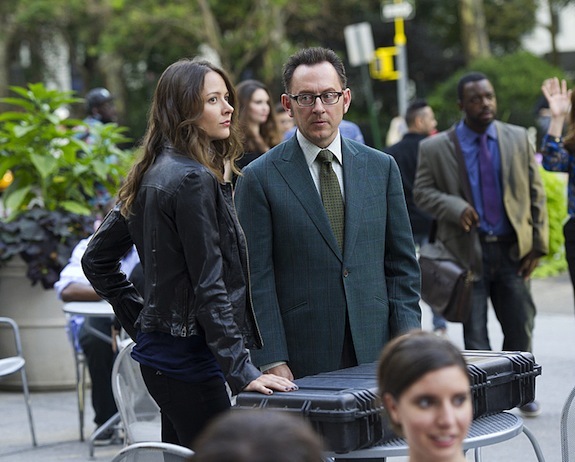 PERSON OF INTEREST started off 2015 with a bang as last week’s excellent episode, “If-Then-Else,” culminated in the team losing Shaw. And after that trauma, tonight’s intense hour, “Control-Alt-Delete,” showcases a different aspect of the series. “Get prepared to go down the rabbit hole with the other side,” PERSON OF INTEREST executive producer Greg Plageman teased. PERSON OF INTEREST blew things up multiple times in season 3, and now the show is coming back for its fourth season with the team split up: Reese, Finch, Root, and Shaw are off-grid to keep safe from Samaritan, while Fusco has been left behind. PERSON OF INTEREST has doubled down on exploring its more serialized elements this season, and the stakes have never been higher. (Poor Carter.) But on the bright side, in spite of the mourning many fans are going through, the show has never been better.